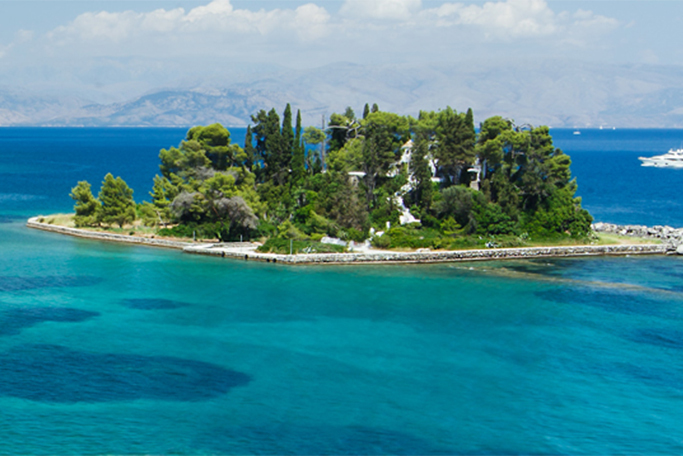 Anita Hotel is conveniently located in Perama on the outskirts of Corfu Town. Perama is the first resort on the coastal road that leads to the south of the island. Perama is famous for its views of Mouse Island (Pontikonisi), one of the most photographed spots on Corfu Island, just 250 metres away. Anita Hotel is only 6km from Ioannis Kapodistrias International airport making it ideal for business travellers and holiday makers alike. Its central position makes it easy for visitors to explore all parts of Corfu Island as well as being very close to many historical landmarks such as the Achilleon Palace just 3km away and Mon Repo Palace grounds a couple of kilometres away too.